Last week I received this invitation letter to speak at the Third Asia Privacy Bridge Forum, hosted by Barun ICT Research Centre, Yonsei University, Seoul, South Korea towards the end of June 2017. The Director of the Centre, Dr. Beomsoo Kim noted that this Forum is supported also by KISA (Korea Internet and Security Agency) and the Korean Ministry of Interior. I am asked to speak about the development of the data protection laws in two countries Malaysia and Indonesia. This is an exciting surprise. Not only because it would be my first visit to Korea, but also because I will have an invaluable opportunity to mingle with the Asia Pacific and international network on privacy and data protection; and to share with them what is up in Malaysia and Indonesia on this subject. There are other speakers who are expected to speak from different jurisdictions: Korea, Japan, Singapore and China including: 1. Dr. Beomsoo Kim (Yonsei University, South Korea); 2. Jongsoo Yoon (Lee & Ko, South Korea); 3. Dr. Kaorii Ishii (University of Tsukuba, Japan); 4. Dr. Warren B. Chick (Singapore Management University); 5. 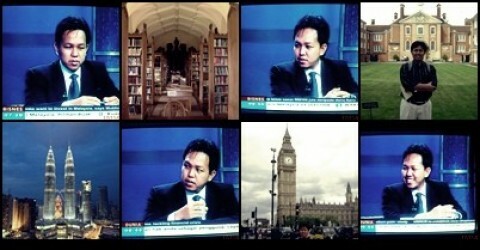 Dr. Sonny Zulhuda (International Islamic University Malaysia); 6. Mr. Eunsil Lee (Seoul Metropolitan Police Agency); and Rona Morgan, Singapore-based IAPP Asia Director. After all, the event sets as an ultimate aim a common desire to move forward collectively and globally in addressing the challenges of enforcing data privacy laws. From the Malaysian perspective, this is the time to showcase what it has done or set to do beyond the initial period of public education on the law. What has been done towards enforcement? That is specifically questions that I would like to share during the Conference. Besides, the fact that the industries have moved further to issue self-regulatory Codes of Practice is also a stimulating development. From the Indonesian perspective, there is quite a few development to share. In the past year, it is noteworthy that the 2008 Law on Information and E-Transaction (“UU-ITE”) was amended by the Parliament to strengthen some aspects of the law, including on the “Right to be Forgotten”. Then, still in 2016, the Information Minister issued a new Ministerial Regulation on the Protection of Personal Data Processed Electronically. This regulatory piece is indeed a milestone to the data privacy law in Indonesia, albeit that it is a subsidiary legislation, rather than a parliamentary statute. Beyond this, there is this Bill draft of the Personal Data Protection Act that has been consolidated in early 2017. With all these development, I hope I can portray insightful updates to the Forum and ultimately to everyone who shares the interest on this subject. But first, let’s hope my visa is ready on time. UPDATE: the visa was ready on 23rd June, and I’m scheduled to fly on Sunday night.